For a long time, the phone channel was thought to be isolated and less important to defend, when compared to the physical and online channels. 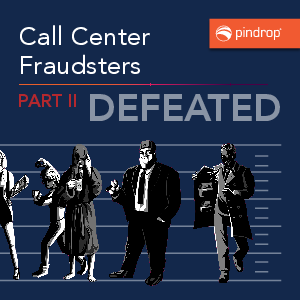 The general consensus was that fraudsters could only steal so much over the phone, and it had little impact on fraud across the rest of the organization. But those assumptions are wrong, and they’re becoming grossly inaccurate as technology evolves. The phone channel is now more vulnerable and exploitable than ever before, as annual fraud loss is now a $14 billion problem. Between aggressive fraud rings, social engineering and sophisticated techniques, vulnerable call centers are feeling the sting. Legacy and stand-alone solutions won’t stand up to the perseverance and lengths to which fraudsters are willing to go.